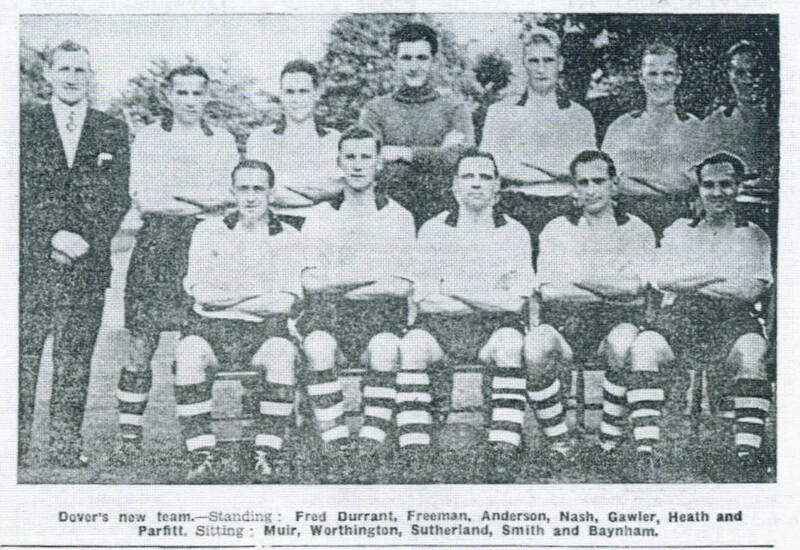 The Dover team that drew 1-1 with Sittingbourne at Crabble on 26th.August, 1953. Back Row(Left to right): Fred Durrant(Manager), Harry Freeman, Freddie Anderson, Eddie Nash, Ron Gawler, Bill Heath, Dickie Parfitt. Front Row(Left to right): Billy Muir, Eric Worthington, George Sutherland, Les Smith, John Baynham.